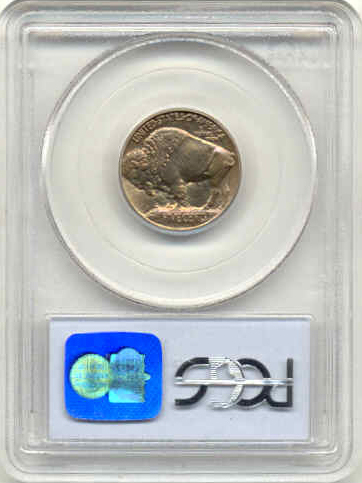 Description: This is a beautiful rainbow toned nickel. The toning does not show up in the scan. 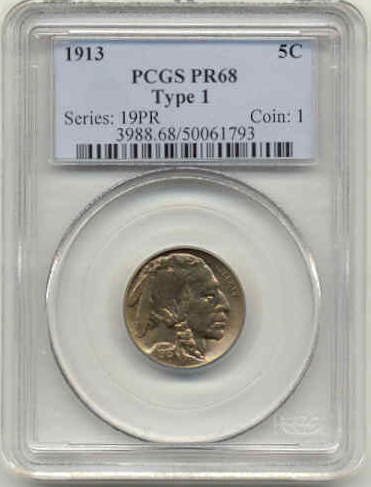 It is tied for finest known with the other coin shown in my gallery. Neither coin has any flecks.